Born in Stanton Hill in Nottinghamshire, the left-back started his career locally with Teversal Colliery before a brief trial with Mansfield Town and then a spell with Stanton Hill Victoria. His big chance came in 1928 when he signed for Wolverhampton Wanderers, but he failed to make the grade at Molineux. After spells with Stourbridge and Mansfield Town, he signed for Port Vale in 1931, playing 72 times for them over two years. Ironically, his Football League debut for Vale came against Argyle in a 2-0 home win at the Old Recreation Ground. His next move was the most productive of his career; he moved to London to join Brentford in 1934 for £1,550, where he remained until the outbreak of war, making 149 appearances for the Griffin Park club and helping them to win the Third Division championship in 1934-35. 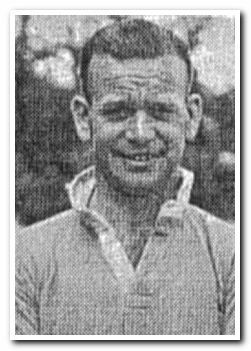 Poyser played regularly for Brentford in the regional leagues during the war, and then moved to Home Park at the back-end of the 1945-46 season, part of a double transfer with Bob Thomas, who joined his brother Dave at Home Park. At the age of 36, Poyser's time in Plymouth was always likely to be limited; he made just three appearances in the remaining Football League South campaign and another three when the traditional Football League resumed the following season. On leaving Home Park, Poyser moved to play non-league football with Dover Athletic as a player-manager. He then returned to his old clubs in a coaching capacity, first becoming the assistant trainer at Brentford and then a coach at Wolves. However, it was after his appointment as manager of Notts County that he started to establish his reputation. In charge from 1953 to 1957, he took the Meadow Lane club to the quarter-finals of the FA Cup in 1955. In 1957 he joined Manchester City as assistant manager and with a burgeoning reputation as a talented scout. When City were relegated to the Second Division in 1963, manager Les McDowall left the club and on 12 July 1963, Poyser was appointed as his replacement. In his first season, City reached the League Cup semi-finals, but fell short of promotion. Unable to build on a promising start, his second season proved a disappointment and in January 1965 the club reached a low point with their smallest-ever League attendance of 8,015 against Swindon Town, and at Easter, Poyser was sacked, with the club finishing the season in their second lowest-ever position at that time; 11th in the Second Division.